We’ll be honest, soccer is not our strong point on Before You Bet. You don’t see a lot of soccer content on our pages. Like the good Aussies we are, we tend to lean towards the oval-shaped ball, but like it or loathe it, soccer is about to take hold of the planet when the 2014 World Cup kicks off in Brazil tomorrow. The good news is that even soccer noobs like us can even make a buck on the round ball with the online sports betting sites all offering some great promotions as World Cup fever hits. So we’re going jump in and take advantage of them so that we can get through the next month with our sanity in tact. Take a free shot at the Aussies against Chile! Back the Socceroos and if they lose, you’ll get your stake returned to you as a free bet up to a maximum of $50. Game starts at 8am AEST, Saturday June 14th. Get $3.00 for Brazil to beat Croatia by 3 goals or more. Maximum bet of $50 and bet must be placed in the promotional market. Game starts at 6am AEST, Friday June 13th. Get a 30% bonus on multis with three legs or more throughout the World Cup. Bets must be placed on the win-draw-win markets and have a minimum final price of $3.00. Maximum bonus is $200 per day. 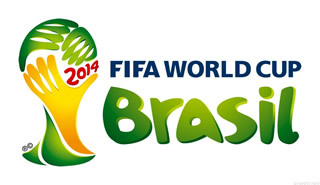 Get $7.50 for Brazil to score a goal in the first 15 minutes against Croatia. Game starts at 6am AEST, Friday June 13th. Get $8.00 for Tim Cahil to score a goal for the Socceroos against Chile. Game starts at 8am AEST, Saturday June 14th. Back a team to win the World Cup in the Outright market and if the team you back is eliminated in a penalty shootout, you’ll receive a refund on your losing bet. This applies to both win and each-way bets. Place a pre-match bet on any of the markets below, and if the match ends in a 0-0 draw, you’ll receive a refund! Markets this applies to include: First Goalscorer, Last Goalscorer and Anytime Goalscorer markets in addition to Half Time/Full Time, Correct Score and Scorecast bets. Get a bonus bet reload up to $50 if the score is 0-0 in any World Cup match. Bet $25 on the Golden Boot market for most goals scored in the tournament, and receive a $5 free bet for every time your player scores! Pick the right player, and this could be potentially very profitable! Increased first deposit bonus of $700 during the World Cup! Hurry and create a new account now! Place any bet on the Australia versus Chile match, and if Australia score, you’ll get a bonus bet equal to your stake up to $100. The bonus is paid regardless of whether your bet wins or loses! Game starts at 8am AEST, Saturday June 14th. Get a 50% bonus on Correct Score markets for all matches during the World Cup Group Stage. Available on your first Correct Score bet for each match up to $500. 90 Minute Madness - Get a special price on a selected match every day during the World Cup, but the market will only be available for 90 minutes from 7pm AEST. This promotion starts Thursday June 12th. Brazilian Boot – get a special price of Brazil HT/FT versus Croatia of $2.50. Maximum bet of $25. Must opt in. Game starts at 6am AEST, Friday June 13th. Get a boost through the Daily Double Header promotion from 5pm AEST every day during the World Cup Group Stage. Maximum bet $25. Starts June 14th. Get a 25% Bonus on Correct Score markets up to a maximum bonus of $200 per match. Take note: Any of the tips in this article are simply the author’s opinion, so bet at your own risk and always gamble responsibly. Also be sure to check out the Before You Bet Twitter Page for all our thoughts in the lead up to bets! Happy punting!